Visit astroworkshops.com for exciting multi day astrophotography workshops. 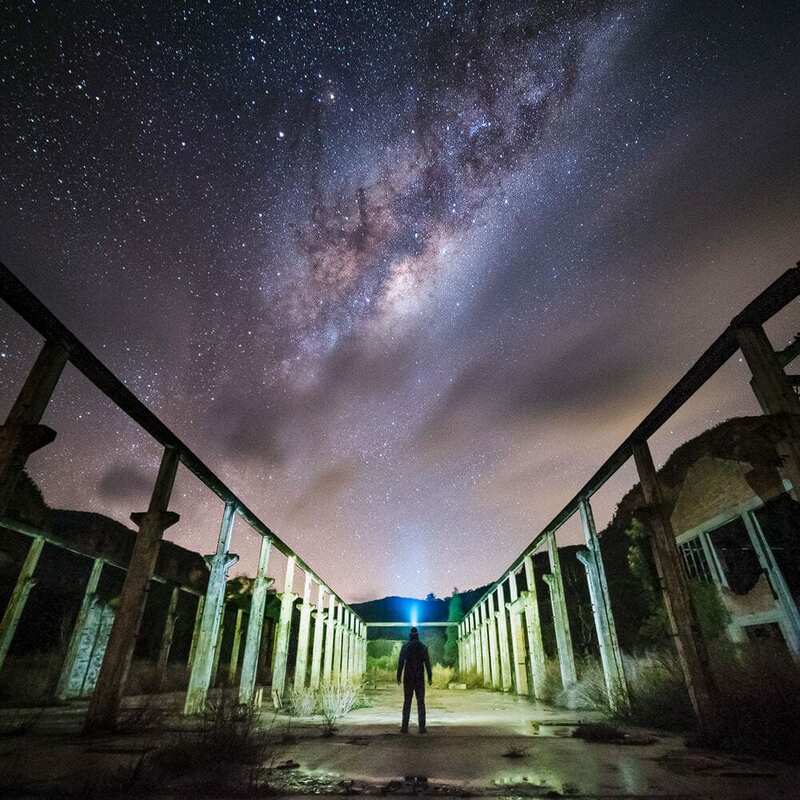 Learn how to capture the Milky Way and Star Trails in a friendly and relaxed environment! With years of professional award-winning experience, we expertly guide you and share the beauty of the night’s sky, teaching you how to create starry masterpieces of your own. 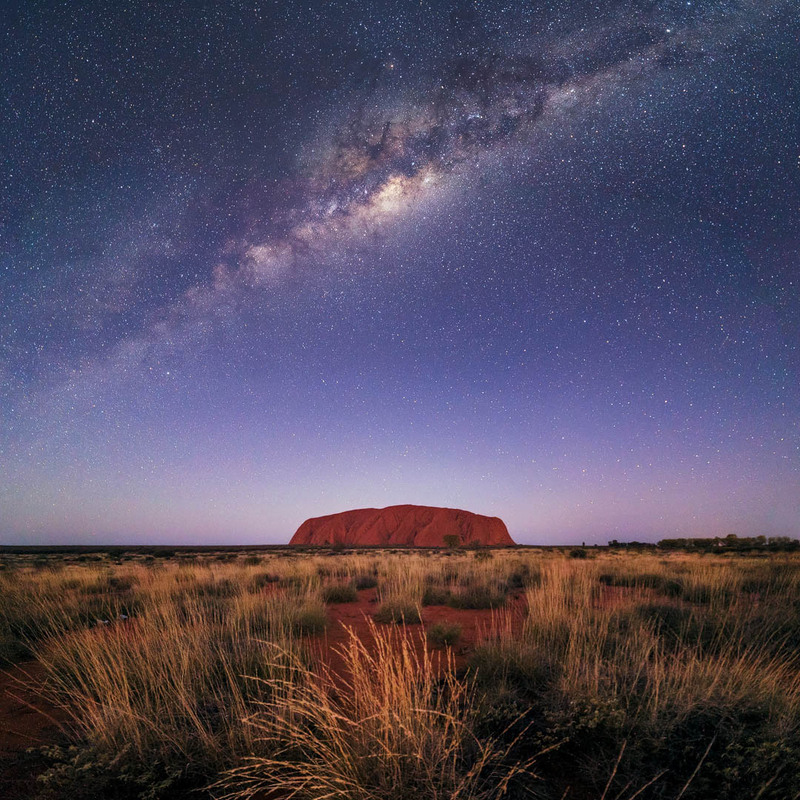 We travel to the most beautiful and awe-inspiring destinations across Australia, hosting some of the darkest skies on earth – perfect for astrophotography! Whether you’re beginning your photography journey, or have some experience, join us on an AstroWorkshop and start your next adventure. I loved the shoot locations and because of your excellent planning and teaching, you set us up for success! Thanks to you both, I had a great time, learnt heaps, and am pleased with my results. Looking forward to the next one! This was the first workshop that I have attended and I thought it was great! An amazing learning opportunity and I was able to produce images that not only was I proud of – but that people want to buy – and that is the ultimate compliment! I thoroughly enjoyed the workshop. Luke and Jay’s knowledge of astrophotography is excellent and they genuinely wanted to transfer that knowledge to all the participants. My photography skills took a great leap forward in just one weekend. Join Luke Tscharke and Bruny Island Photography in capturing and showcasing the Island’s unique natural beauty on a Landscape Photography Workshop. Tasmania has a proud tradition of Nature Photography dating back to the 1850’s and these images have played a critical role in highlighting the richness of its natural environment and the imperative for its preservation. Our tours continue in the spirit of that tradition. Bruny Island, itself, is a microcosm of the Tasmanian mainland. It is blessed with an extraordinarily diverse range of distinct environments – spectacular coastlines, geological wonders, beaches, rainforests, mountains, lagoons, abundant flora and fauna – a cornucopia of photographic material; all at your doorstep! While bringing you to the many beautiful places this region has to offer, we will do our best to teach you how to take better photographs, to skilfully use your camera and equipment, and help you with post-processing. We pride ourselves on providing highly qualified photography guides to help you improve your photography on our landscape photography workshop. From a chartered boat, our resident photographers will show you the geological splendour of the rugged Bruny coastline with its abundant sea and bird life – It is here that your journey begins. Over subsequent days we will take you to some of the Island’s most scenic locations – many of which are situated on private reserves spanning thousands of acres. Our accommodation offers spectacular settings for communing with the Island’s elemental beauty and unwinding from the day’s activities. A perfect base from which to practice, reflect upon and discuss the craft of photography with our guides and fellow tour participants. We look forward to sharing our passion for the Island and showing you what an incredibly special place it is whilst honing your skills in the art of landscape photography. You won’t be disappointed! Capture the Coast - Book Now! Have you been wanting to improve your seascape photography? Join Luke Tscharke along with his good friend and pro photographer Daniel Tran, and the NiSi Filters Team, to learn how to get the most out of your camera and filters when you shoot along the coast. We will help you take your seascape images to the next level on our landscape photography workshop. Join the team on a 3 hour sunset workshop in Sydney, or a full day workshop on the South Coast of NSW. At the completion of these workshop you will have better knowledge on using your camera and filters to create compelling seascape imagery. A filter expert from NiSi will available during the workshop to help you get the most out of your filters and answer any questions you may have about filters. We’d love to have you join us. I am very passionate about photography and love to share what I have learnt on my photography journey with others. I am available for a private landscape photography workshop in Hobart, Tasmania and surrounding areas. If you are travelling to Hobart I would be happy to show you around some of Hobart’s lesser know locations, and help you take great photos while we’re at it. As I have a commercial services agreement with Tasmanian Parks and Wildlife Service, I am legally authorised to take you into Tasmania’s beautiful National Parks and reserves. Occasionally I travel to Sydney and other cities on mainland Australia, and can coordinate a private landscape photography workshop at these locations if it fits into my schedule. I can also travel to your choice of location (outside of the Hobart area) if my travel expenses are covered. Please get in touch and we can take it from there.